Microsoft has released an update to Windows Live Essentials 2011. You can download the new version 15.4.3538.0513 directly from here: Windows Live Essentials 2011. Windows Live Mail: a sorting issue in the Sent items folder has been fixed, plus the upload reliability and instrumentation in Photo mail has been improved. Windows Live Messenger: stability issues have been fixed and various changes have been made to improve voice and video quality. An issue that was causing sound to be lost after upgrading has been fixed, as has performance when displaying the MSN Today page in the main window. Windows Live Photo Gallery: various bug fixes for crashes related to launching Photo Gallery through Autoplay and facial recognition have been fixed. While the new version is available now as a standalone download, Microsoft plans to prompt existing Windows Live Essentials 2011 customers to update later this month. At that time, it will be offered as an optional update, but eventually we expect Microsoft will force users to upgrade. 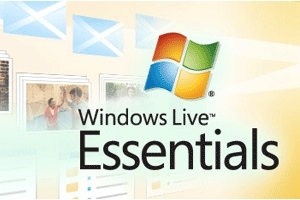 Windows Live Essentials 2011 was first released back in October 2010. The suite was made available in 48 languages and works on Windows Vista and Windows 7, but not on Windows XP. The suite of Windows client applications includes Messenger, Mail, Photo Gallery, Movie Maker, Writer, Family Safety, Mesh, and the Bing Bar.